If you’ve ever been to a groundbreaking, you’ve experienced the thrill of accomplishment and aspiration at this significant milestone. Perhaps less visible than the groundbreaking celebration, but no less vital than that turning of earth, is everything that comes before it. Developers may work diligently for months, sometimes years, to lay the groundwork that makes a groundbreaking possible: working through an intricate process of partnerships, due diligence, financing, proformas, site selection, permitting, design and construction considerations, among other elements. As part of the Kraus-Anderson family of companies, Kraus-Anderson Development (KAD) has a unique perspective on the entire spectrum of building, from vision to reality. Senior Vice President of Kraus-Anderson Development Matt Alexander shared some of that perspective recently. Q: You work for a 120-year old company, yet you’re sort of a startup venture. Talk about that. MATT ALEXANDER: KA Development is a young company, but actually KA’s been developing real estate for many decades. In the 70’s Kraus-Anderson Development Corporation was developing shopping centers; in the 80’s and 90’s KA was developing timeshare condos in Colorado and Hawaii and a residential community in Florida. When I came on board in 2006, we were developing under the KA Realty name. We just haven’t always advertised that. MATT: At that time we were developing mainly properties for KA’s own portfolio of ownership. At the same time, KA Construction was working with a lot of developer clients, and there was some sensitivity to that, so we flew under the radar. Post-recession, a lot of developers brought contractors in house, and the world changed. Q: Trace the steps in Kraus-Anderson Development’s own development. MATT: When I started with KA we were chasing after a lot of grocery-anchored retail sites. Then we started doing some MOB’s. Then during the recession, we analyzed a lot, trying to be creative, we initiated a study into senior housing, with the thought of being an owner. That led to the development of Trails of Orono, followed by Arbors at Ridges in Burnsville. 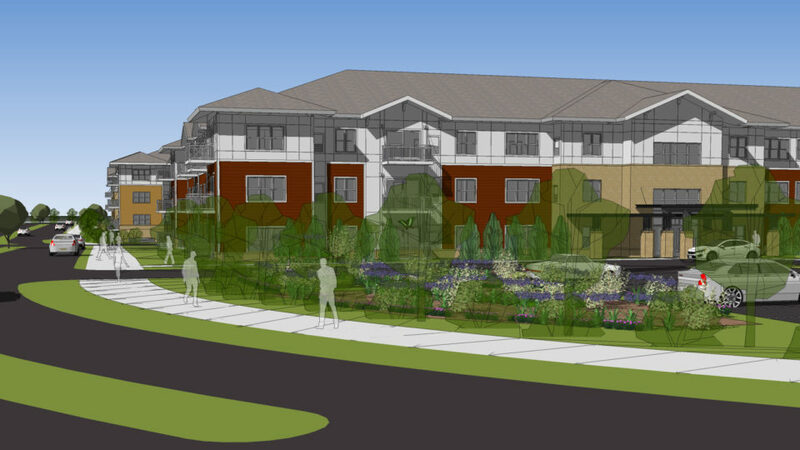 From there, we grew into a fee for service developer and thanks to our network were able to perform senior housing development work for nonprofits such as Guardian Angels and St. Therese at Deephaven, both very successful projects. And those capabilities led to our introduction to Elion Partners, initially they were looking for a fee developer for a small building in St. Louis Park. We looked at it, and we were upfront and honest with them about the difficulties we saw with developing the site. 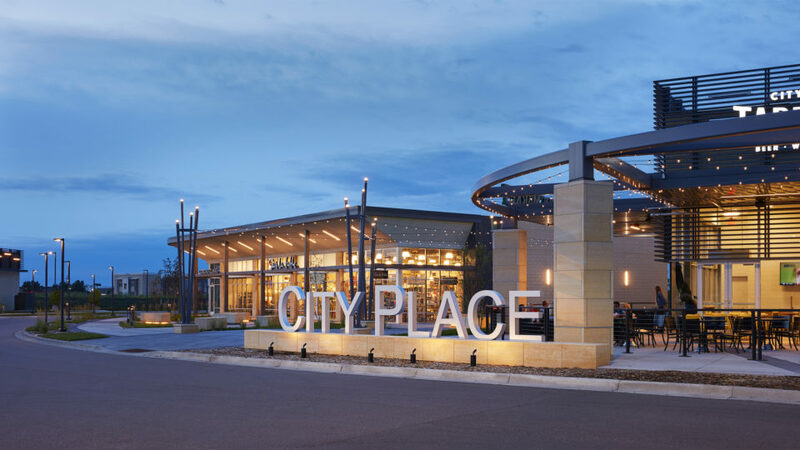 They respected our honesty, and when they returned to the Twin Cities to look at redeveloping the State Farm site in Woodbury, they chose us to work with them. We asked, is there an opportunity to partner with you? And the answer was, yes. Q: And together you’ve turned that 100-acre site into a really exciting mixed-use project. MATT: Yes, and together with the City of Woodbury and partners like we’re in year five of that development. It’s been really rewarding, with two phases of retail including a premiere Whole Foods grocery; restaurants, two hotels, a really dynamic HealthPartners Tria Orthopedic Center, another MOB coming in developed by Davis Group. CityPlace has out-performed the market in every category. Q. Talk about the KA Block development. MATT: Our own headquarters block is another example of working through challenges to arrive at a win-win-win. Our first proposal to the city in 2013 was for just an office and parking lot. They really pushed back. The city wanted density of development. We took that feedback to heart, worked with ESG Architects and came back with a dream plan for a full block, mixed use development with office building, apartments, hotel and Finnegan House brewery and co-working offices, all served by underground heated parking. 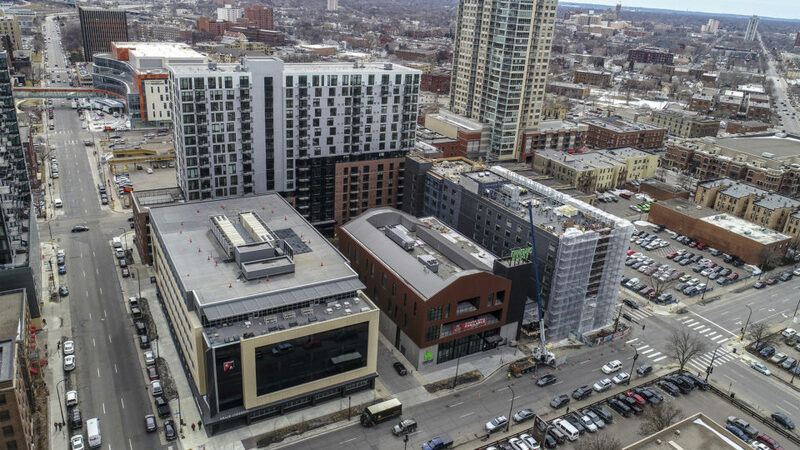 The city, the Elliot Park Neighborhood and the business community all have embraced the KA Block project wholeheartedly. We’re actually sitting in our new office now, the FINNEGANS House brewery and HQ Apartments opened in March 2018, and the hotel is set to open early fall. Our new headquarters is a really high-functioning building, designed by Pope Architects, filled with amenities, and recently recognized as one of the region’s Top Projects. How great for everyone at KA. It shows how much the family appreciates their employees. Q. You are moving forward on your first workforce housing project. Tell us about the Chamberlain Apartments in the Twin Cities suburb of Richfield. MATT: Yes, this is another good example of the ways KA Development can partner with others. Kraus-Anderson is joint venturing with Inland Development Partners on this project which will be the first multifamily development in this area in decades. This is in a TIF district for housing, and we are also working with HUD financing to create a project that will be brand new, with high end amenities, but priced competitive with existing housing. The Chamberlain will provide 316 units over six buildings- three existing buildings to be remodeled, and three new buildings to be constructed in a design by UrbanWorks Architecture. KA will be the landlord, and Saturday Properties will manage the property. We expect to break ground in July, and be fully completed by spring 2020. As required for the TIF, 20 percent of the units will be affordable rate. Q: You are also adding to your talent team. 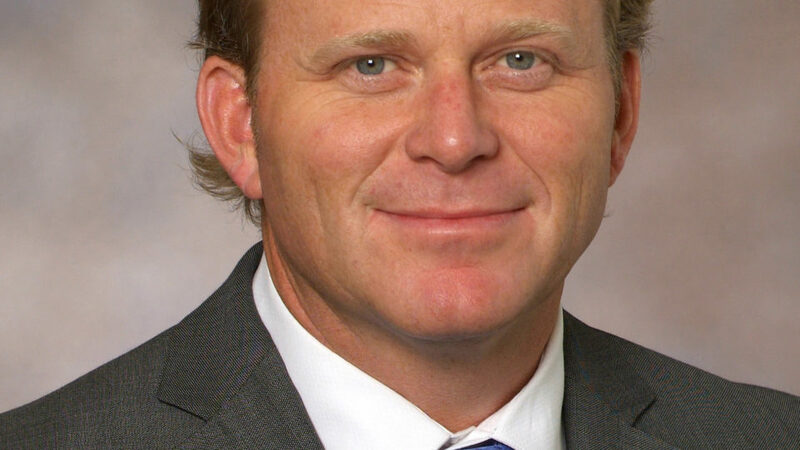 MATT: Yes, just in the past few months we’ve been fortunate to bring in Mark McLane as Director of Real Estate, and Craig Patterson, our new VP of Development. These strategic hires are building on our expertise as a full service agent that can deliver turnkey services for construction clients, and help build velocity into the planning and financing process. Combined with the expertise of our directors Jaci Bell and Erica Arne, our project coordinator Christian Loomis, and the oversight of EVP Mike Hille, we are well positioned for continued growth. Q: What development opportunities are you seeing in other sectors? Healthcare, for example? 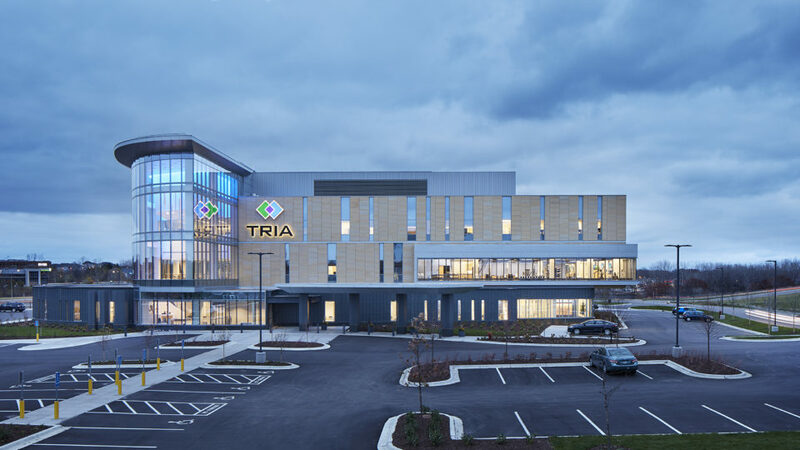 MATT: We’ve been involved in some great healthcare developments, including a land deal at CityPlace that led to the HealthPartners TRIA Orthopaedic Center which opened in 2017 and has been recognized as one of the year’s Top Projects. Overall, we’re seeing more mergers, which will be creating challenges in real estate with perhaps fewer opportunities. Q: Retail is undergoing challenges of its own. How does that impact development? MATT: Retail is reinventing itself. We’re seeing more experimental retail concepts, like the Whole Foods CityPlace grocery. That grocery has a liquor store, fire pit, communal gathering areas, and it’s a destination. The retailers that can figure out how to stay, will be the winners. Q: What are the next big development opportunities on the horizon? MATT: We try to get ahead of the curves. You want to be on the leading edge, not the bleeding edge. While there are cycles of development-aging- decay and redevelopment in our sectors, the details of demand can change substantially. Look at the evolution of senior housing. Ten years ago, we were one of the first who stepped up to address the growing demand for assisted living and memory care. Fifteen years in the future, there will likely be a huge demand once more, and the developers who can figure out how to deliver a more affordable solution will be busy. Q: So even an expert developer still has a challenging job. MATT: Definitely! Change is the constant. Every project has its unique challenges, with financing, expense, stakeholder goals, environmental concerns, scheduling. It’s a puzzle. And when you put the pieces together and make it all fit, it’s fantastic!